When we speak about advances in medicine, most people think of new treatments that work better than existing treatments, or maybe work as well as existing treatments but come with fewer side effects. Rarely is a reduction in the numbers of people who receive treatment seen as an advance. But that was exactly the buzz this weekend at the annual meeting of the American Society of Clinical Oncology. 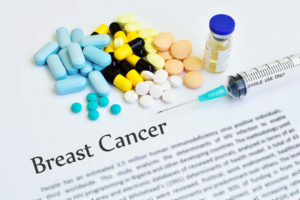 A new study will transform treatments for the most common type of breast cancer: instead of adding a new treatment, the TAILORx study results released this weekend dramatically expanded the number of women with hormone positive breast cancer who can safely skip chemotherapy. TAILORx used a common genomic test, Oncotype DX, to identify which women with early stage, hormone positive breast cancer which has not spread to the lymph nodes who do not need to receive chemotherapy. Chemotherapy has long been a mainstay of breast cancer treatment. Oncotype DX has been marketed since 2004 to predict the likelihood of cancer recurrence for this group of patients after surgery. However, until now, the test was most useful only for those patients with the lowest and the highest scores (under 10 and over 25, respectively). Around one in six patients receive a low Oncotype score (10 or lower) which indicates a low risk of recurrence and no likely benefit from chemotherapy. Another one out of six patients receive a high Oncotype score (above 25) indicating a likely benefit of chemotherapy. The remaining two thirds of patients receive an intermediate score (between 11-25), which until now has been a relative gray zone where the likelihood benefit of chemotherapy was not well understood. With cancer, too often the default is generally more is better and as a result most women in these situations have been treated with chemotherapy. The TAILORx study divided close to seven thousand women with hormone receptor positive, HER2 negative, node negative early stage breast cancer with an intermediate OncotypeDX score (between 11 and 25) into two groups after surgery: one group received the standard chemotherapy plus hormone therapy while the other group received only hormone therapy. At nine years, overall survival and recurrence were essentially the same in the two treatment groups, although some benefit of chemotherapy was found in women under age 50 with a recurrence score of 16 or above. The ability to reduce overtreatment, is in fact a huge step forward in breast cancer treatment. 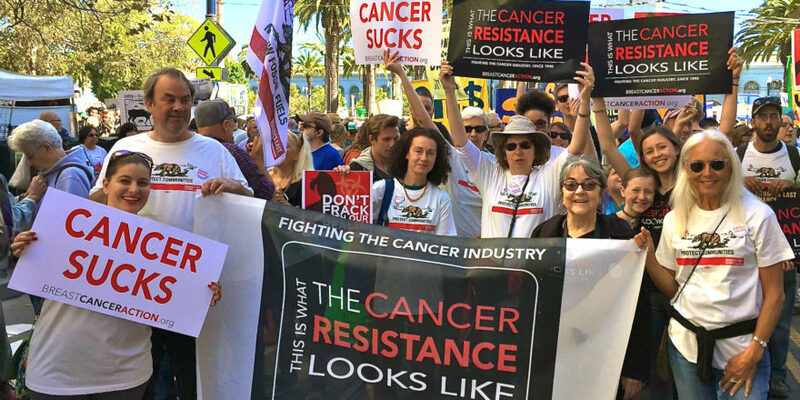 While it does not overshadow the need for more effective treatments so fewer women die from the disease, the ability to spare tens of thousands of women each year from the harmful effects of chemotherapy that is not benefiting them is undoubtedly a major medical advance. ← Free Webinar: 5 Years After the Supreme Court Decision to Overturn Gene Patents: Where do We Stand? 2005, I was refused the Oncotype DX. Dr. reason, Too new to know if accurate. Pushed me to do 3 types IV Chemo. I refused. Dx ER+ WEAK!! No Positive nodes, clean margins. I asked if ER weak made a difference in treatment. Answer,”No.” So I took Arimidex and had 15 months of hell with 38 1b weight gain, BP160/80 and Lymphedema out of control R arm. I had to do my own research and learn over the next 7 years. Turns out I was right ER= weak, 10% or less makes it Negative. I had Triple negative then and 2012 Tneg DCIS. I got the Oncotype and Braca test. Low Oncotype, no Chemo. 6/25 Mammo and US negative. Thanks be to God and no other help to speak of in 2005. (2012 I changed whole surgery team.) Women have to be their own advocates!! !